RBI has released the recruitment notice for Grade B officer exam 2018. The online registration process has started on 3rd July. 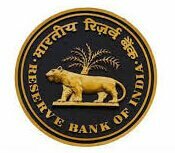 13 July 2018: The Reserve Bank of India (RBI) has released the official notification for Grade B Officer Exam 2018. Applications are invited for recruitment of Grade B Officer – General, in the Department of Economics and Policy Research, and in the Department of Information and Statistics. The detailed notification is available on the official website of the Reserve Bank of India. Click on “Direct Recruitment for the posts of Officers in Grade ‘B’ (General) - DR, DEPR and DSIM in Common Seniority Group (CSG) Streams – 2018” under “What’s New” section on the home-page. Important instruction for the exam will appear, read them. The advertisement is also available in PDF form. Under the “Mode of Application” section, separate links for online applications for Grade B and for DEPR/DSIM will appear. Click on the post you want to apply for. Click on “click here for New Registration” button on the top. Read the important points and click on “CONTINUE” button. Enter the information and click on “Save & Next” button. Once the registration Id and password are generated, you can complete the form in parts. Just log-in with your details, fill the form and save. Complete the application process carefully and take a print out of the completed form. The last date for printing the completed application form is 07 August 2018. 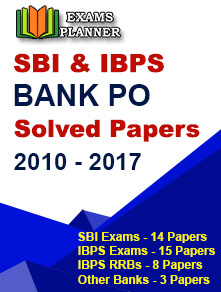 Officers Grade B General: Candidates must have a minimum of 60% marks (50% in case of SC/ST/PWD) or an equivalent grade in Bachelor's degree as well as in 12th (or Diploma or equivalent) and 10th Standard examinations. 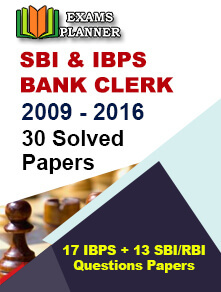 Officers Grade B DEPR: Candidates must have a Master's Degree in Economics / Econometrics / Mathematical Economics / Quantitative Economics / Integrated Economics Course/ Finance, with a minimum of 55% marks or an equivalent grade in aggregate of all semesters /years from a recognised Indian or Foreign University /Institute. Officers Grade B DSIM: Candidates must have a Master’s degree in Statistics/ Mathematical Economics/ Mathematical Statistics/ Econometrics/ Statistics & Informatics from IIT-Kharagpur/ Applied Statistics & Informatics from IIT-Bombay with a minimum of 55% marks or equivalent grade in aggregate of all semesters. You can check the detailed qualification requirements and criteria related to age limit and nationality at the official notification. The detailed online notification was released on 3rd July and the registration process has also started from the same day.